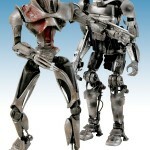 Here’s the official look at the new Battlestar Galactica Daybreak Cylon 2-pack. 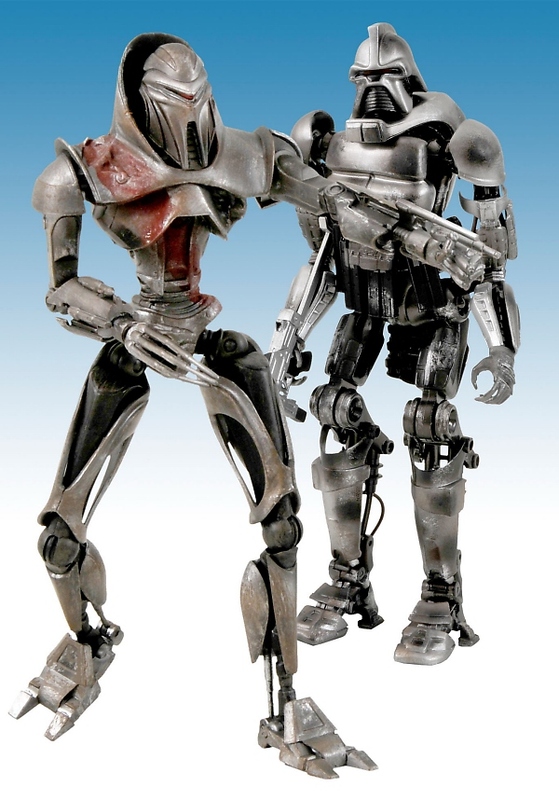 Both the modern and retro Cylons appear battle damaged with the modern Red Stripe taking the worst of it. Look for look for them in comic shops and specialty stores early next year.